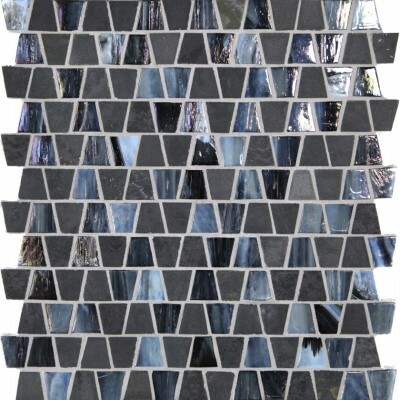 The Slate and Glass Mosaics Collection is a beautiful series made up of several mosaics made up of slate and glass tile mosaics. 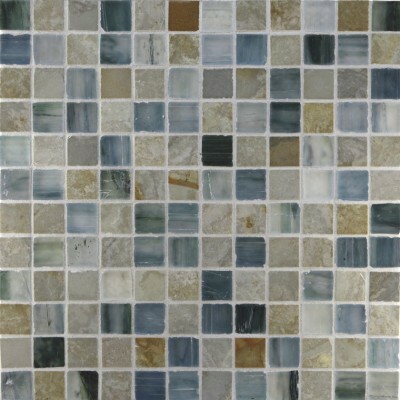 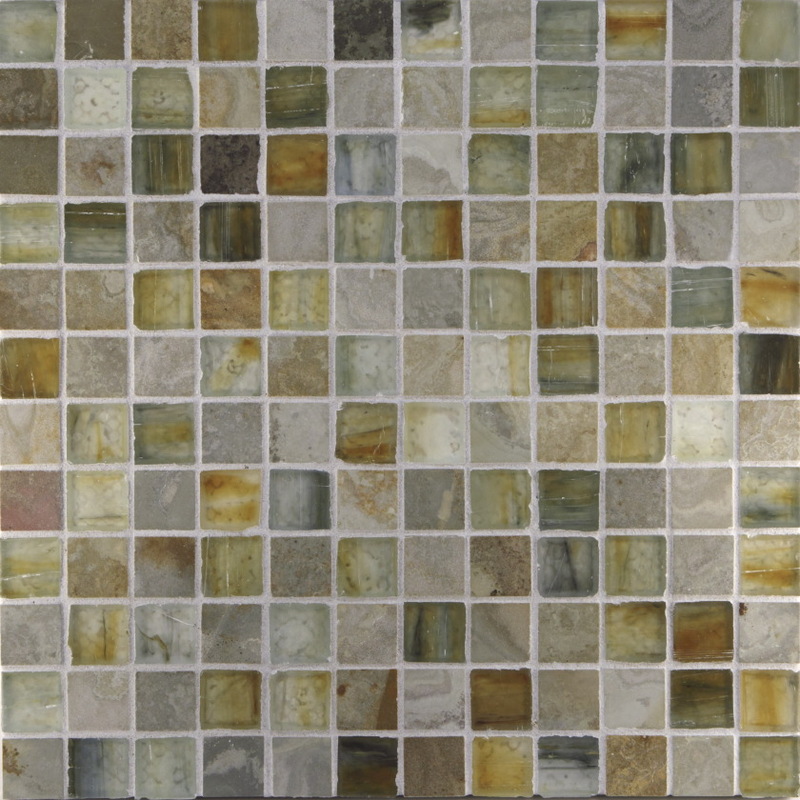 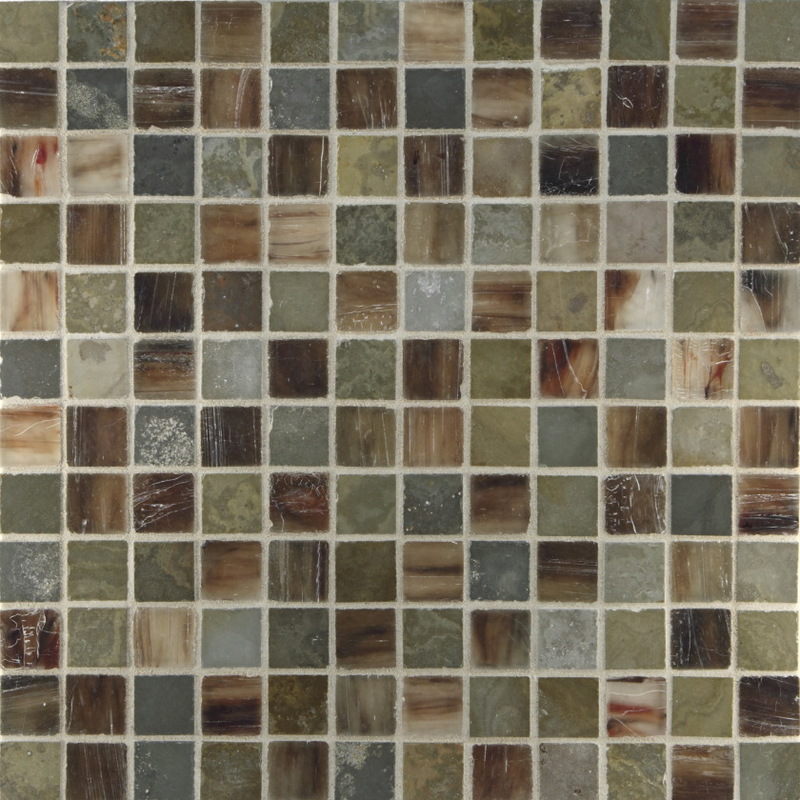 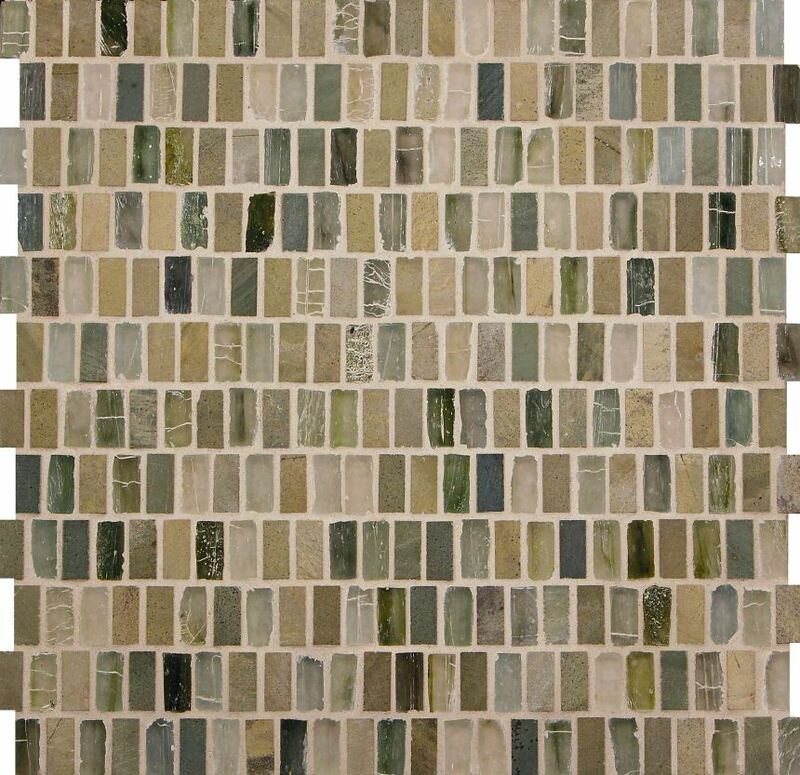 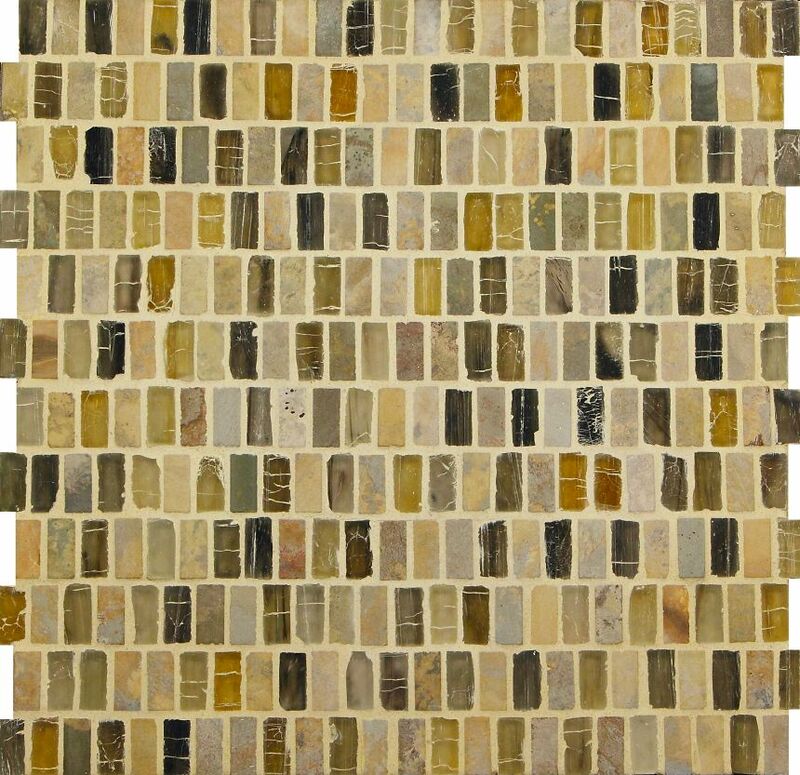 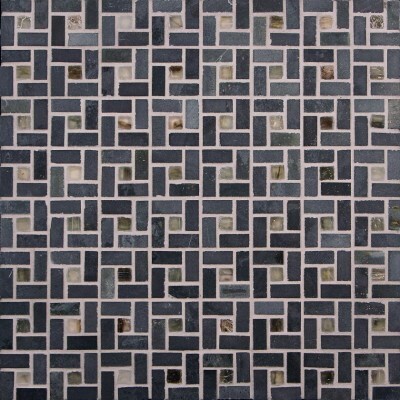 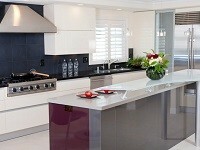 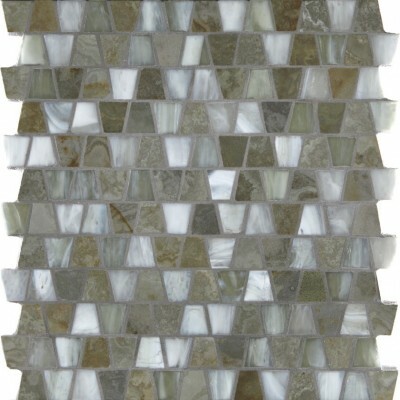 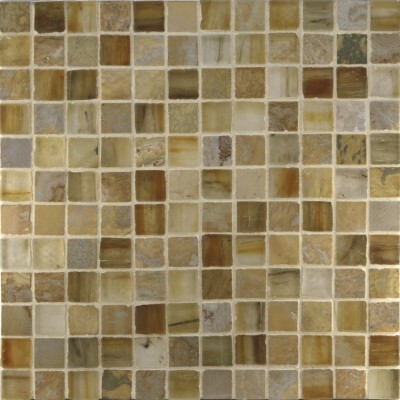 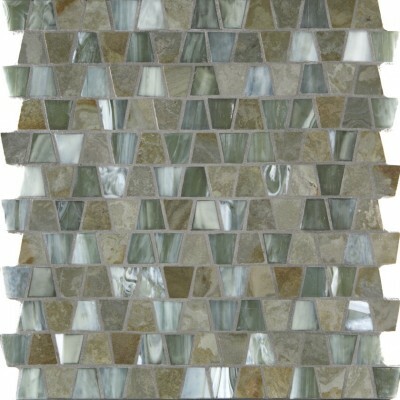 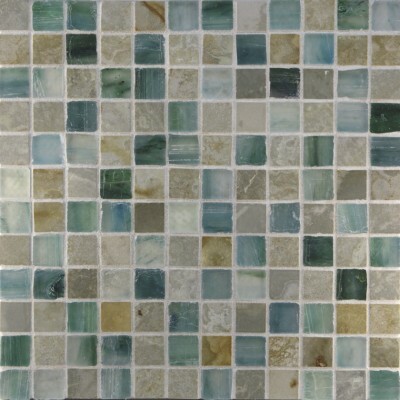 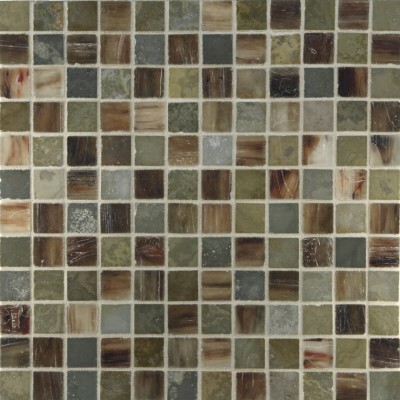 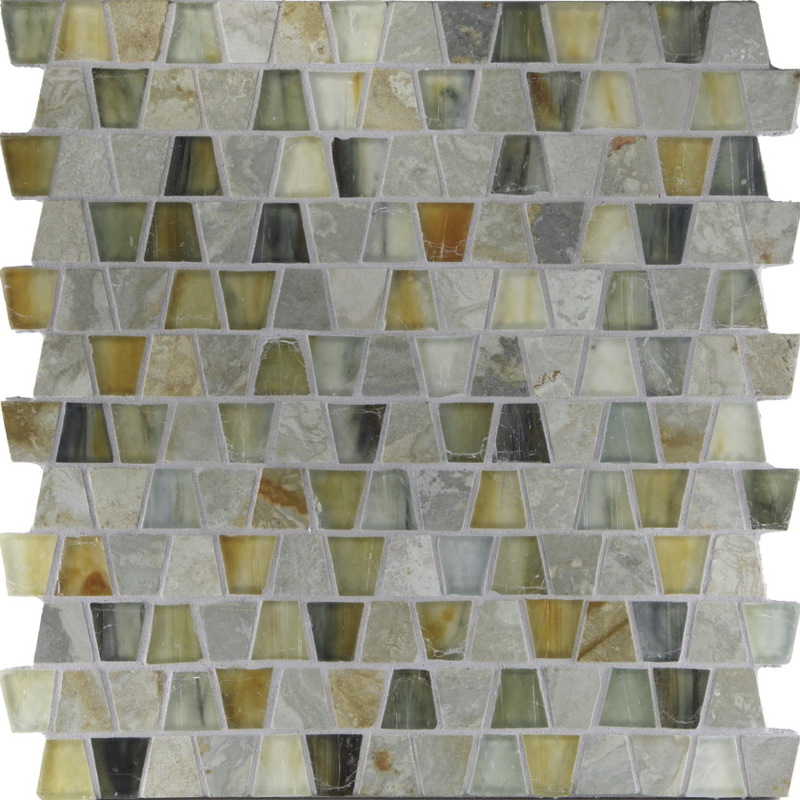 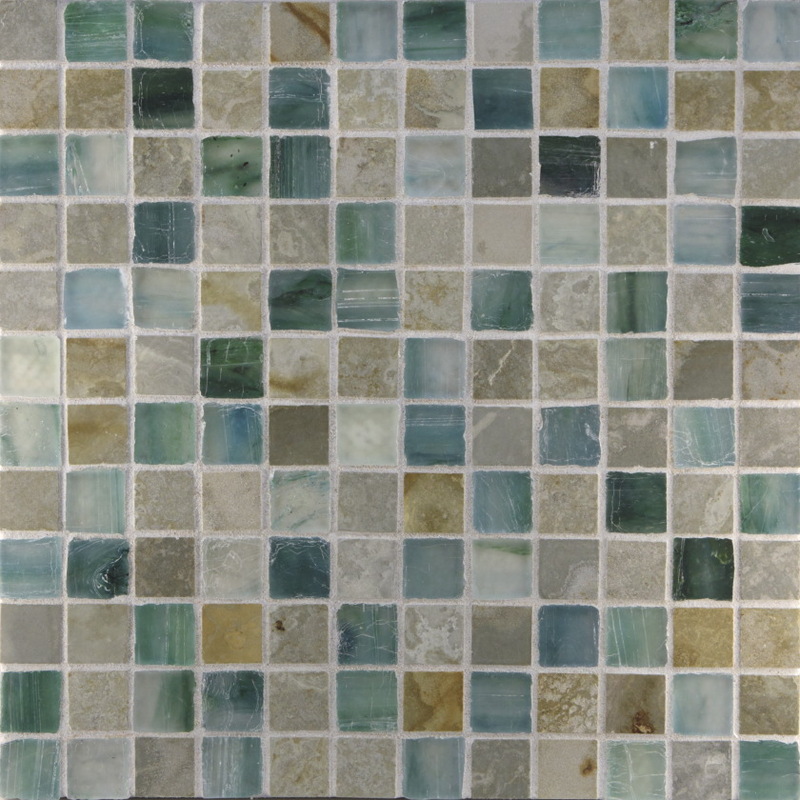 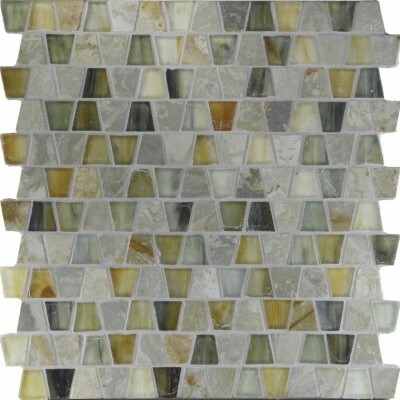 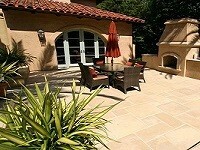 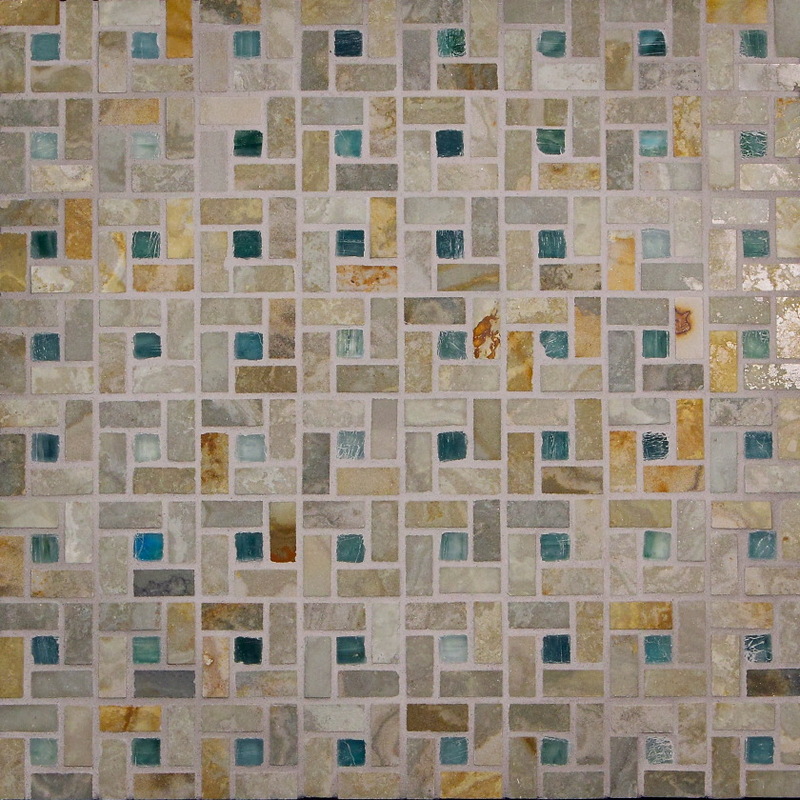 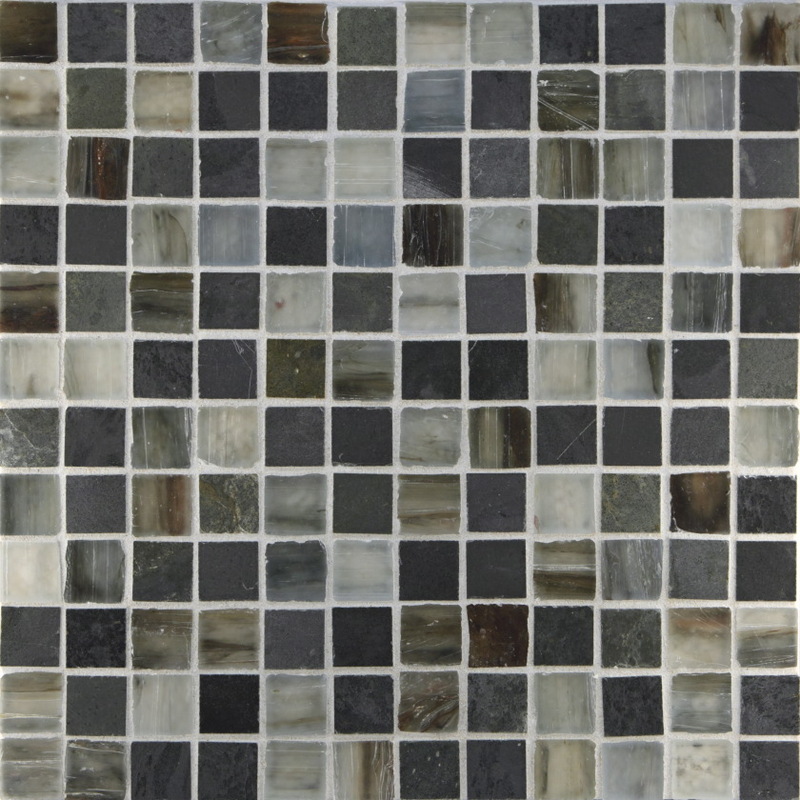 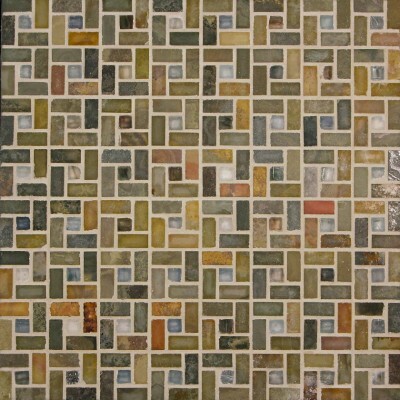 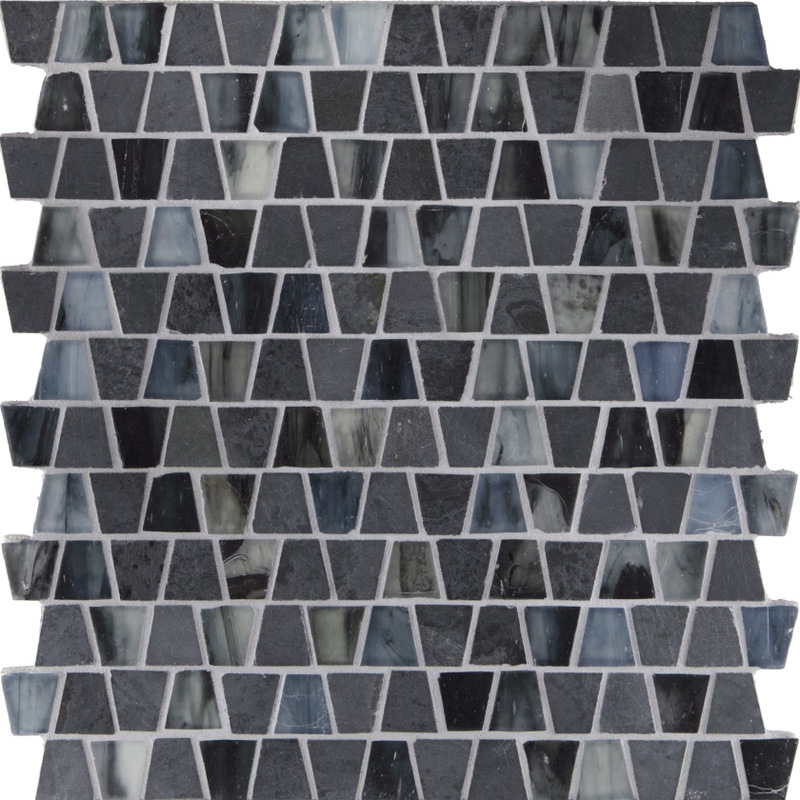 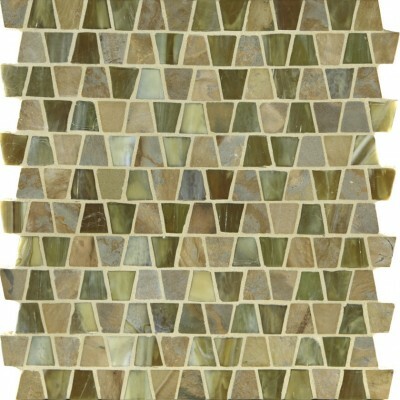 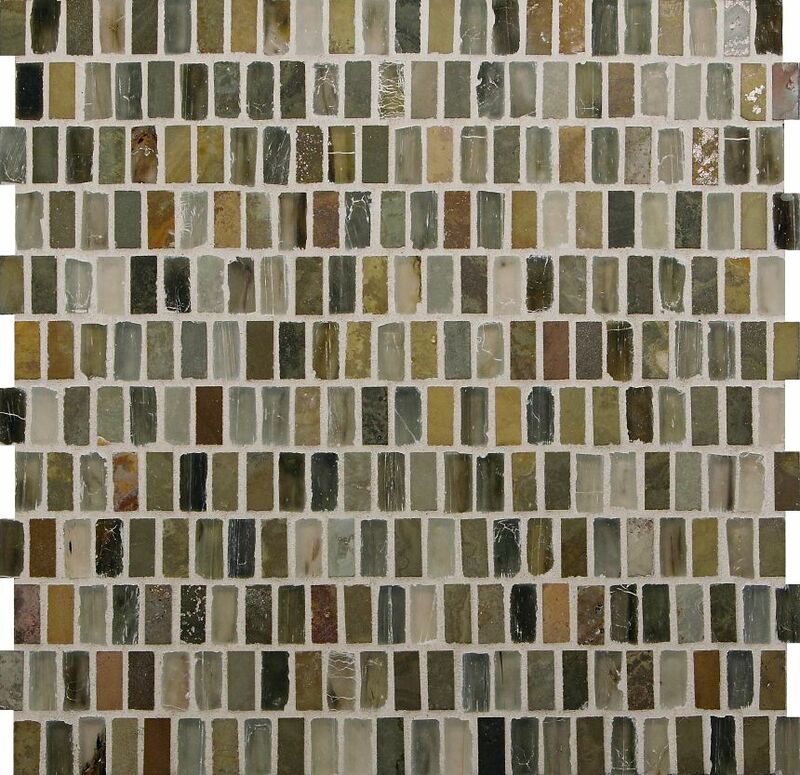 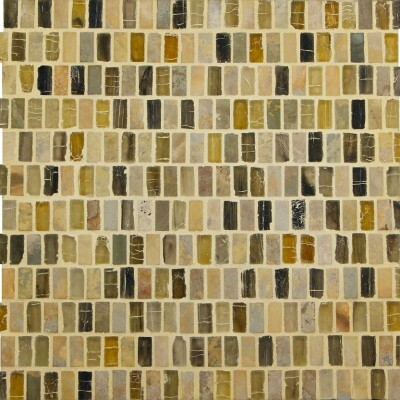 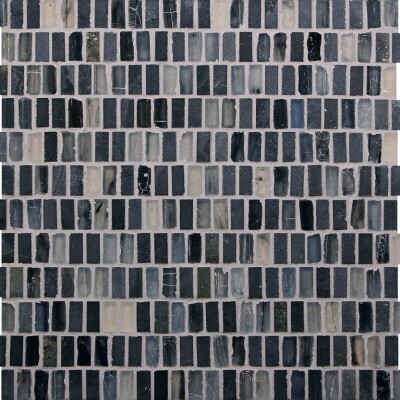 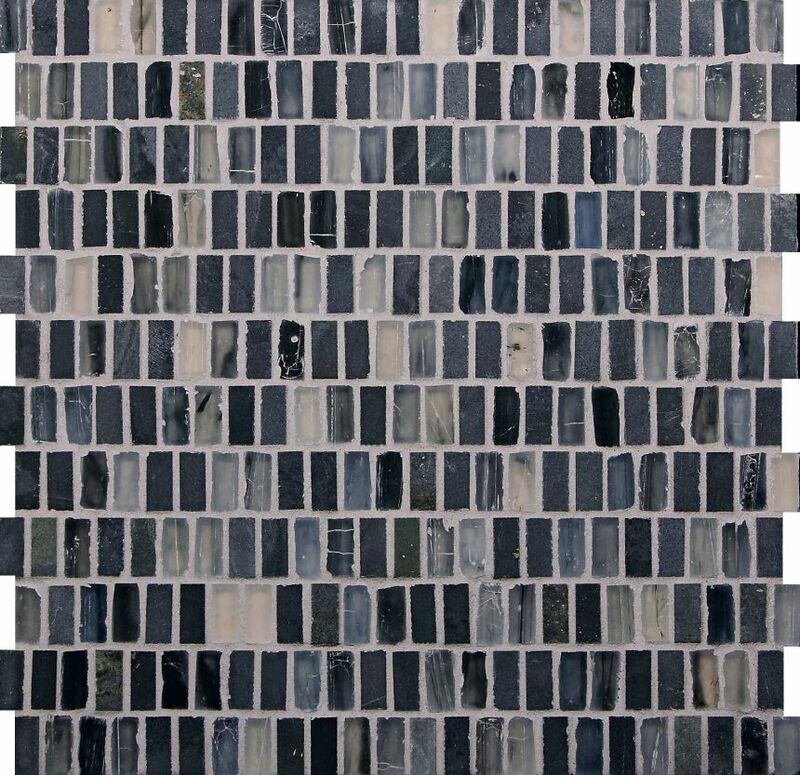 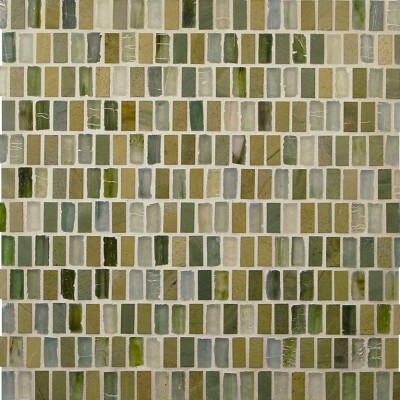 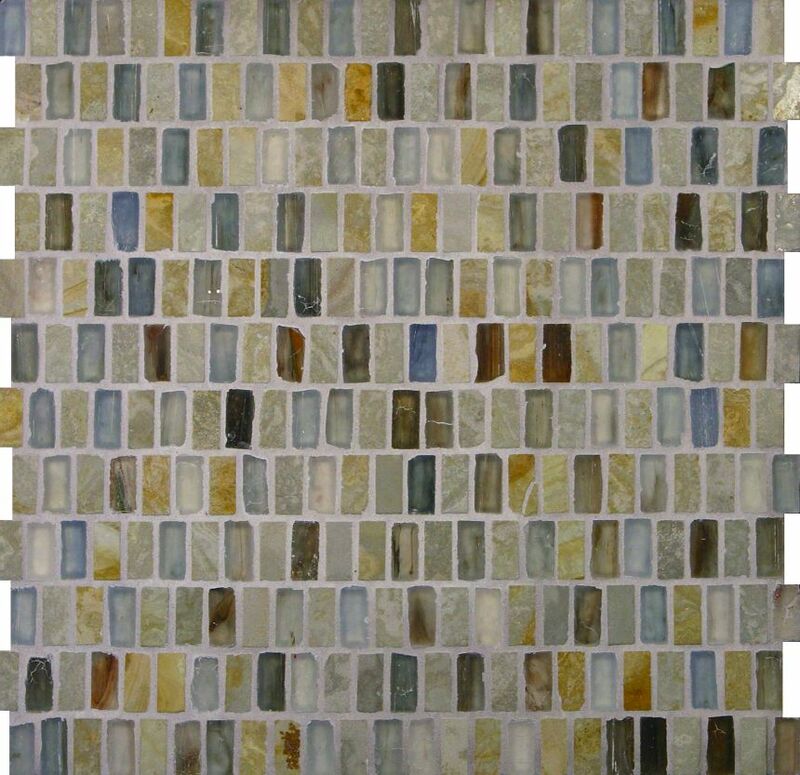 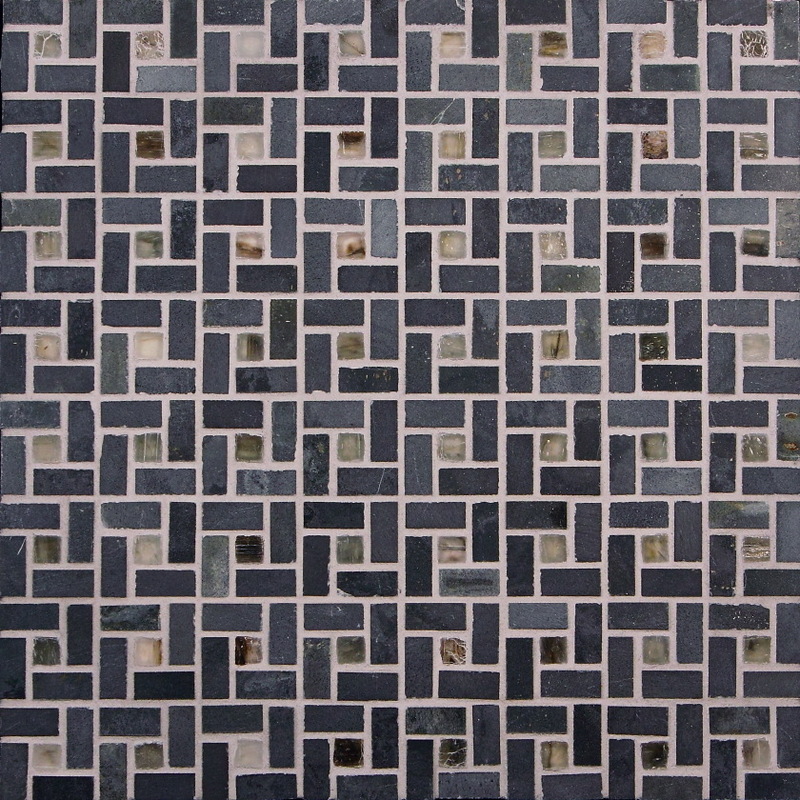 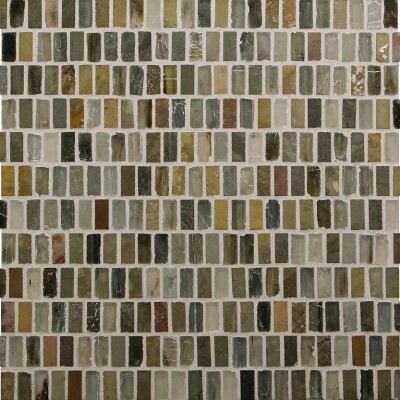 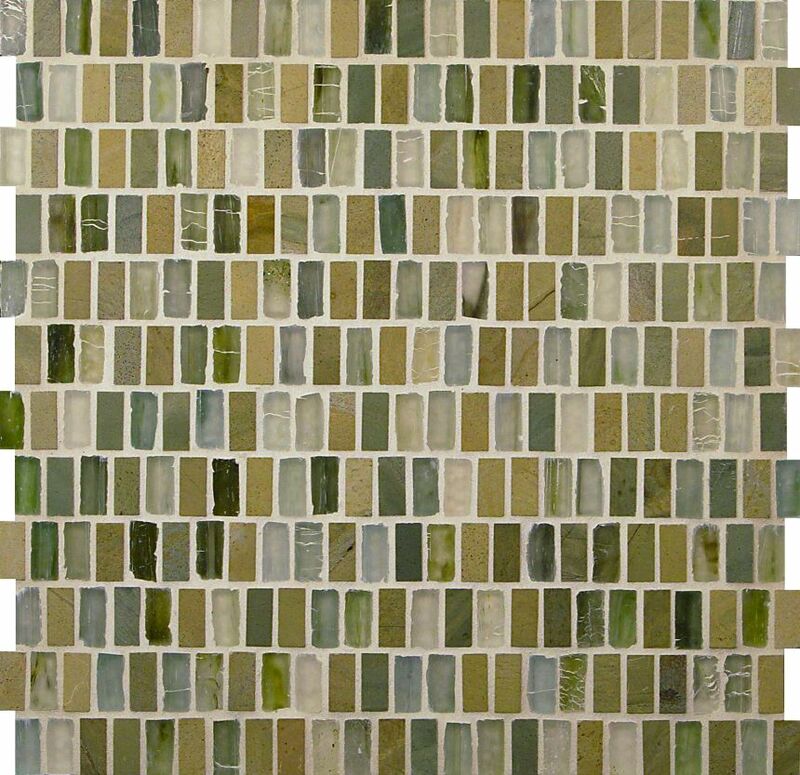 One of the most popular series of the Slate and Glass Tile Mosaics is the 1″x1″ blended mosaics. 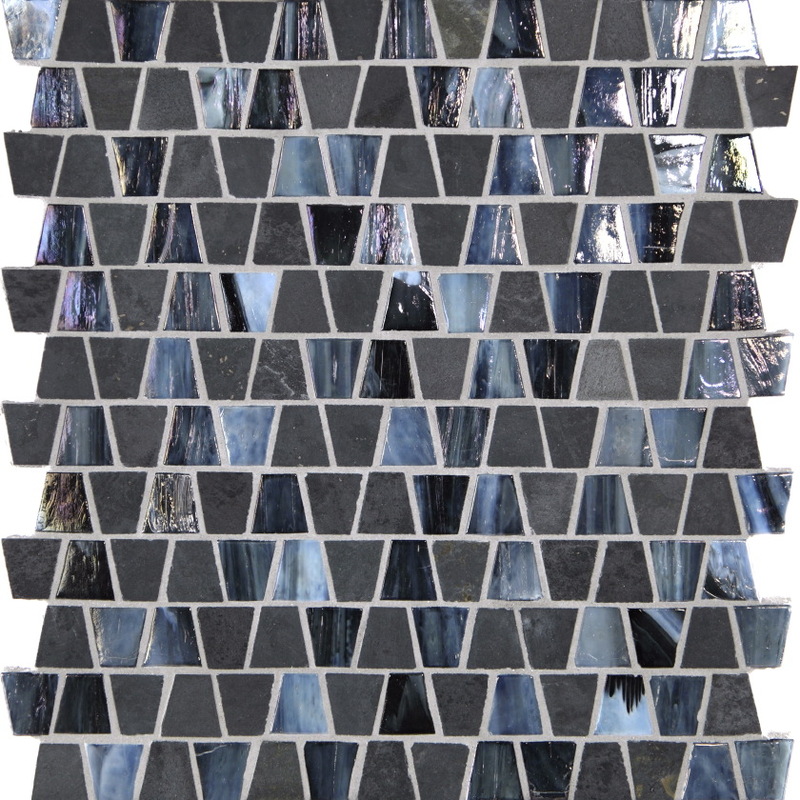 One of the great advantages of these mosaics is that the slate colors in the mosaics match up with our straight cut slate series. 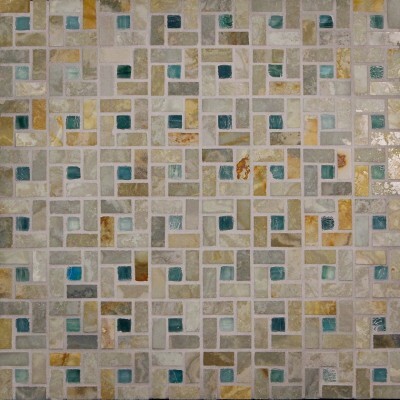 This allows you to create wonderful borders and mosaic accents in a shower for instance when using the straight cut slate. 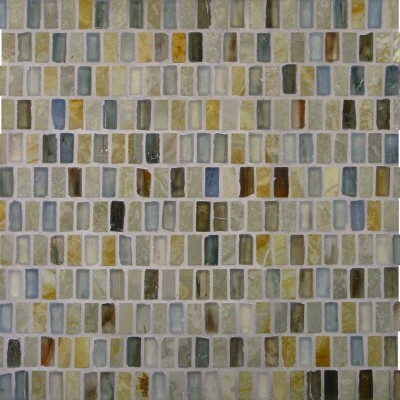 If you are using glass tile in your application, the glass tiles in these mosaics are available in larger formats as well.